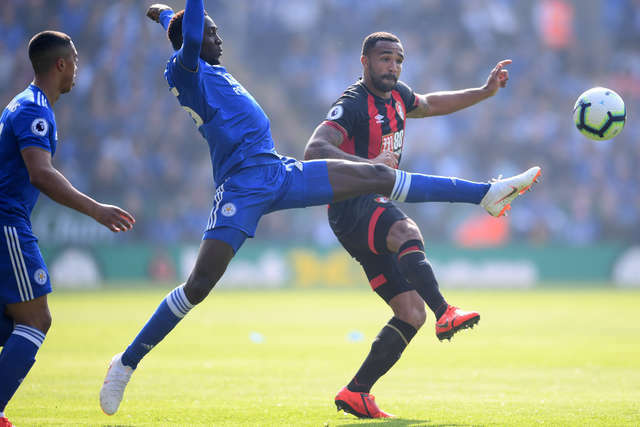 AFC Bournemouth resumed their Premier League campaign with a disappointing 2-0 away loss at in-form Leicester City on Saturday. 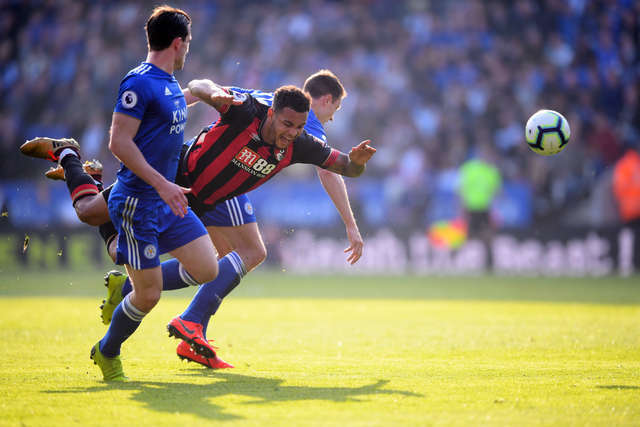 Wes Morgan opened the scoring after 11 minutes, deftly redirecting a shot home off the inside of the post for his second goal in two games, Callum Wilson coming closest to a leveller before the break, seeing his close-range effort parried away. 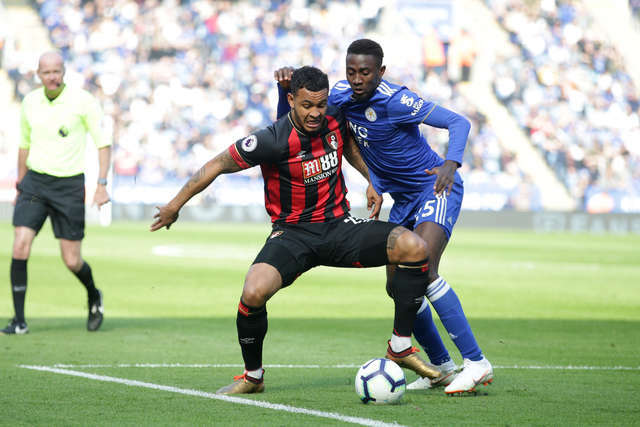 The visitors were unusually unable to get into good attacking areas in the second half, falling further behind inside the last ten minutes when master marksman Jamie Vardy flicked home a header the game sealing the road result for the Cherries. 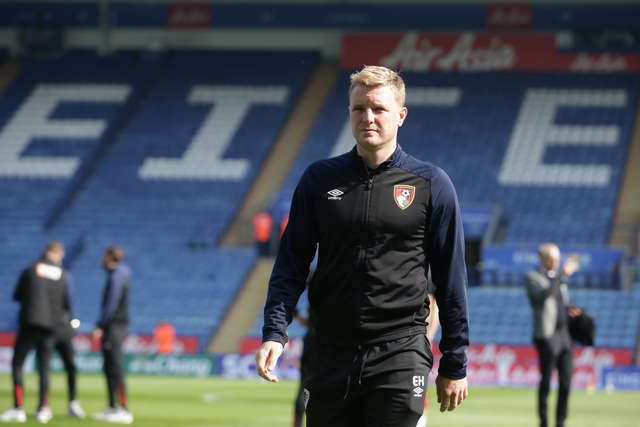 Eddie Howe made two significant changes to his side after a week off due to the international break, Dan Gosling returning from injury and taking the captain's armband, with Asmir Begovic back between the posts from the off. 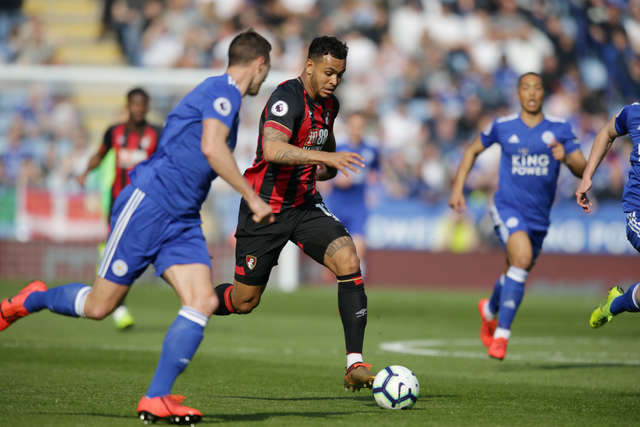 The Cherries kicked off in their traditional home colours amidst glorious spring sunshine in Leicestershire and they soon came close to an opening when Wilson cut back towards Joshua King, with a defender able to steal in and intercept. 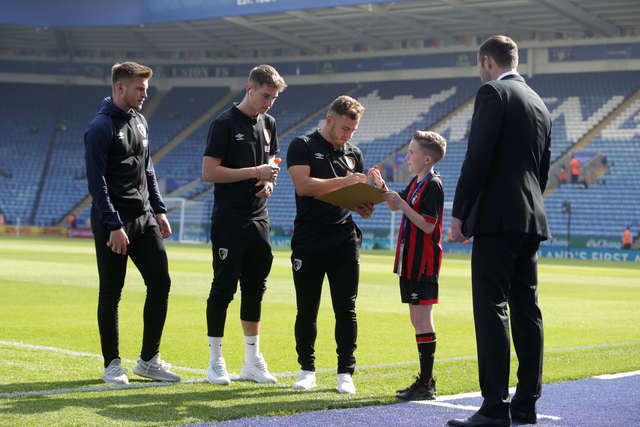 However, in an open start Harvey Barnes played a neat give and go before firing across a low ball that Charlie Daniels needed to put behind, and from the resulting corner the Foxes were in front. 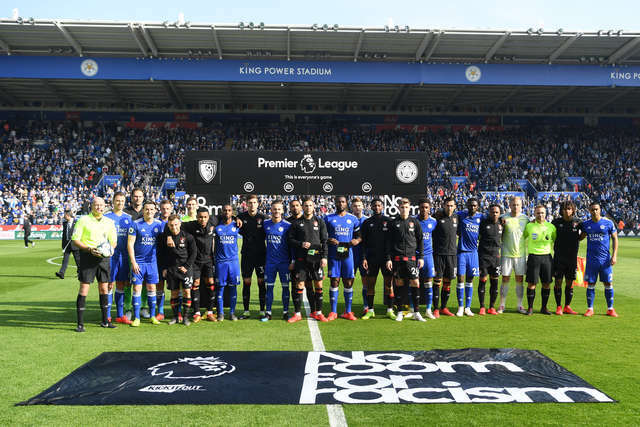 The set piece was looped to the far edge of the area where the waiting Ben Chilwell controlled and shot low, fellow defender Morgan in the crowded penalty area turning the ball in deftly via the woodwork eight yards out. 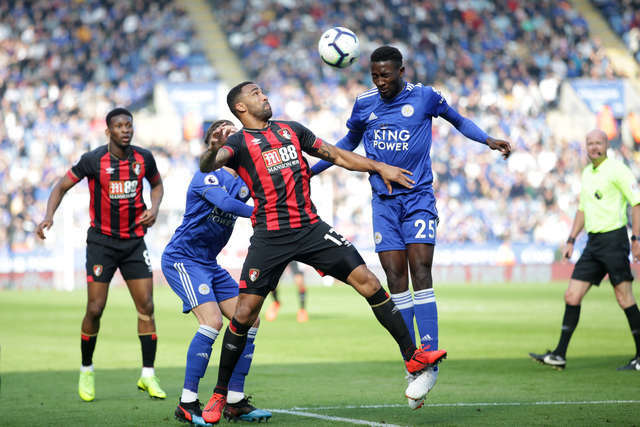 Almost striking back immediately, Kasper Schmeichel blocked brilliantly on the goal line after Ryan Fraser and Wilson had linked up, the England striker seeming certain to score from a matter of yards before the 'keeper's intervention. 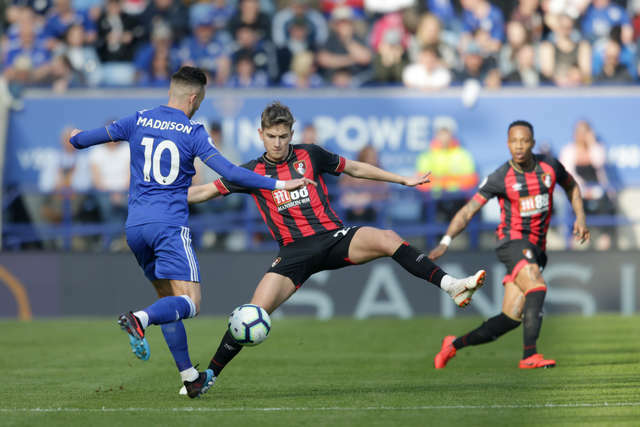 James Maddison drove a foot wide with a low 22-yard effort, Vardy then guilty of a bad miss five minutes later when in space he shot well wide first time from ten yards after being found by Ricardo Pereira. Maddison next fizzed a shot that was well held by Begovic, City continuing to threaten a second. The Cherries were back on the attack when first Fraser shot at the 'keeper from distance, and King might soon have done better when connecting with the Scot's cross, able only to fire a yard over the bar inside the area. 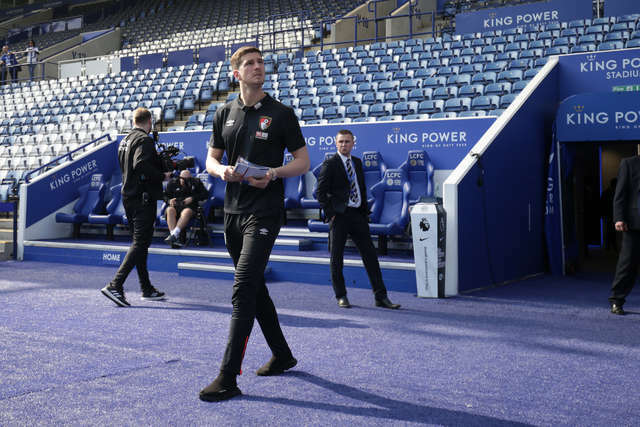 Back after the restart and the Foxes were on the front foot, Barnes getting to the byline but just unable to find a team-mate with his pull back, Demarai Gray similarly not finding his man after some fluid home build-up. Ten minutes into the second period Diego Rico came on for Charlie Daniels at left-back, then with 26 minutes remaining, Howe rolled the dice again, bringing Dominic Solanke on to bolster his attacking options in the hunt for an away reply. Solanke's intricate footwork on the edge of the area saw him open the room to prod through towards Nathaniel Clyne making a forward surge, the ball just too strong for the onrushing loanee. 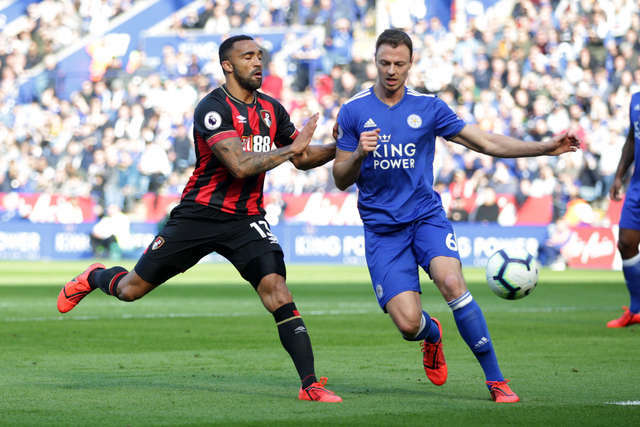 Into the final ten minutes and the Cherries were struggling to invde successfully into the final third, Leicester looking the more likely to grab the game's second goal, the attacks coming down both flanks, and from the right is where City doubled their tally from. Pereira played back for Youri Tielemans who swerved in a smart angled cross which Vardy reached and glanced home off the underside of the crossbar. 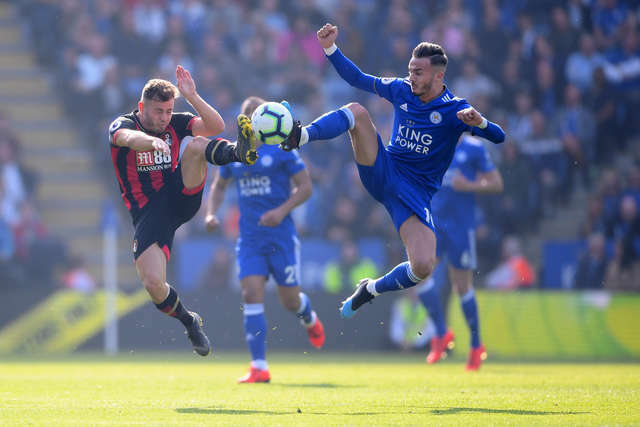 Maddison connected with a low ball in but could only find the side netting as the game moved towards its conclusion, Bournemouth attacking with late urgency in added time but not finding a foothold for a late comeback. 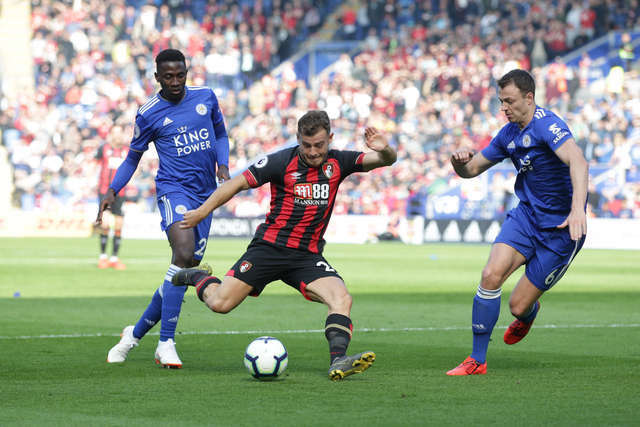 Handed a return to the starting line-up, Howe saying the change with recent custodian Artur Boruc was down to his decision, Begovic had no chance with Leicester's opening goal, but was otherwise solid in the first half, holding well from Maddison went a slip could have cost a second goal. 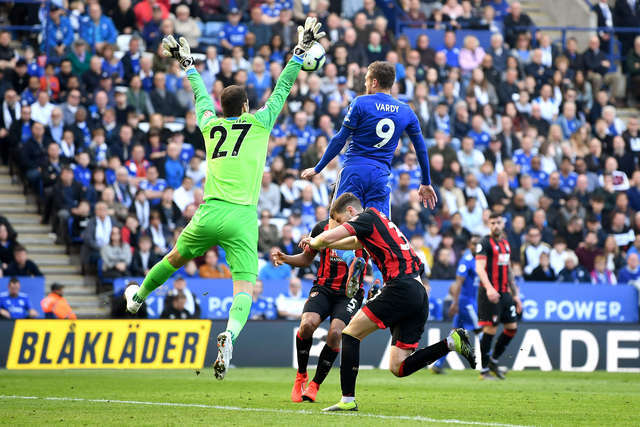 The Bosnian was down quickly to smother Vardy's low shot after the break, but was left isolated when the former England international made it two with his header. 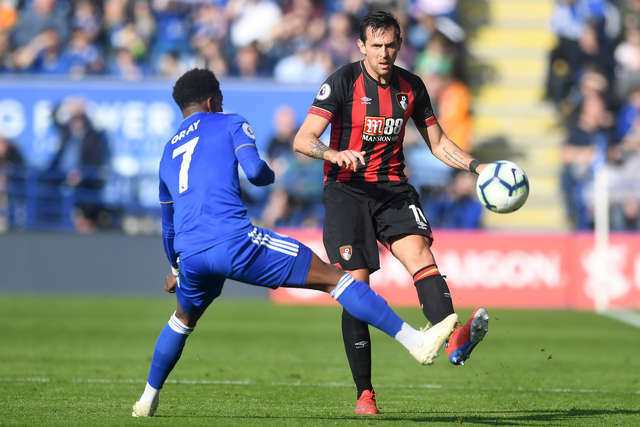 Much has been made of the Cherries' attacking talents, with Fraser, King, Wilson and David Brooks leading the hunt for goals against the Foxes, and the striking pair had the two best chance for the visitors before the interval, both likely feeling they should have done better with their penalty-box efforts. 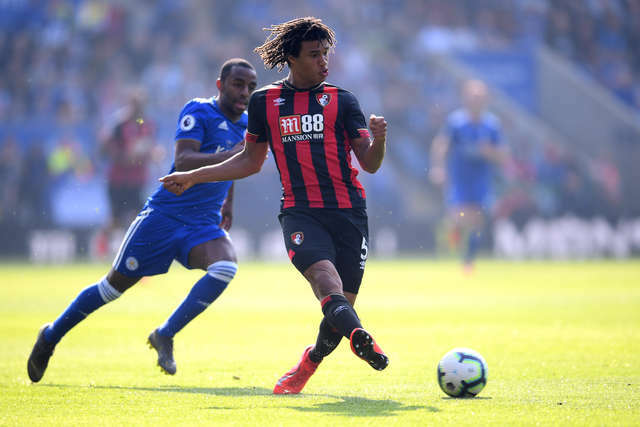 The Cherries were strangely subdued in the second half, and while the attacking quartet, later joined by Solanke, showed some nice touches in the middle of the park Schmeichel wasn't unduly tested in the final 45 minutes.